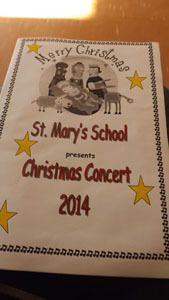 Photo report of the 2014 St Mary's School Christmas Concert. 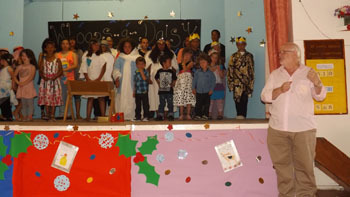 at 6pm in the school hall. 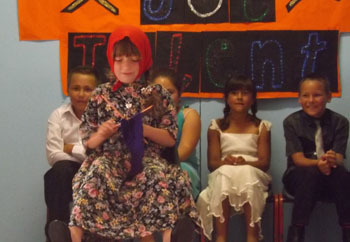 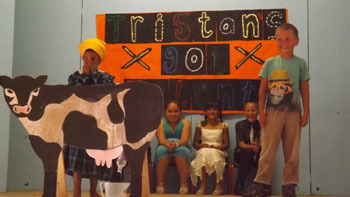 The first act was 'Tristan's Got Talent' and the three auditions were 'Five Little Monkeys', 'Milking a Cow' and 'Knitting a Scarf'. 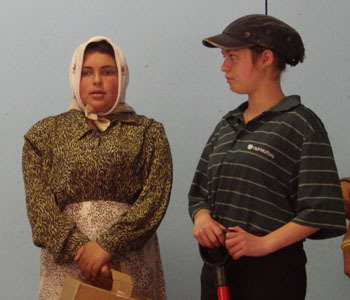 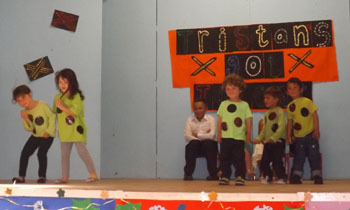 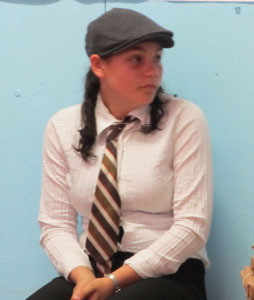 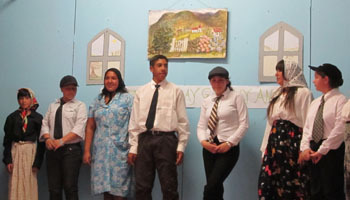 The audience was in roars of laughter at Class 1 and 2.
by class 4 & 5, this was a Tristan theme and had the children dressed in traditional outfits planting potatoes, celebrating a birthday and then having a dance with accordion music. 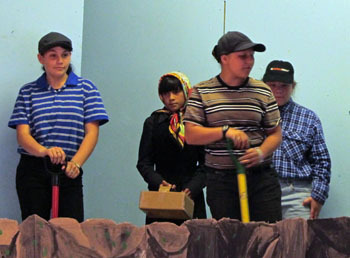 it brought back a lot of memories for the older people. 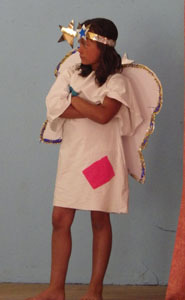 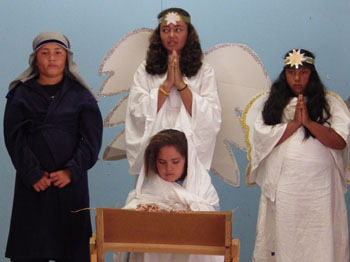 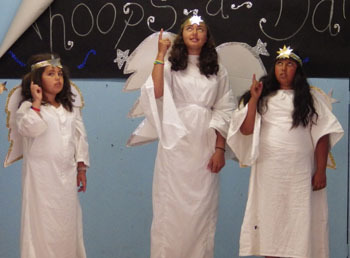 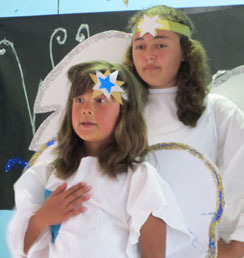 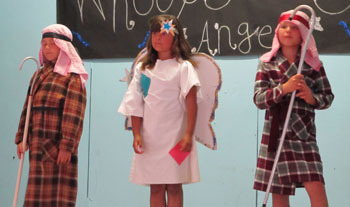 The third act by Class 2 & 3 was ' Whoops a Daisy Angel' and this featured a little angel who was always scruffy and getting herself into trouble. 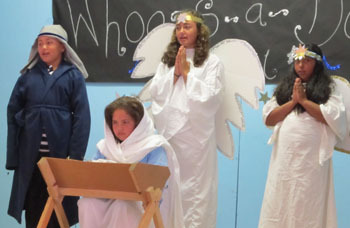 after which Father Denzall sang a Nat King Cole Christmas song. 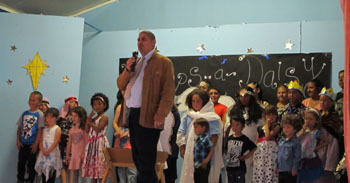 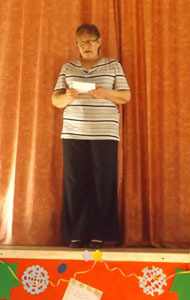 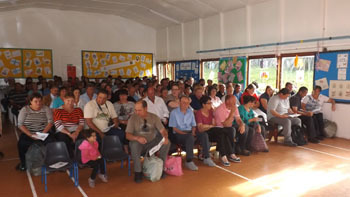 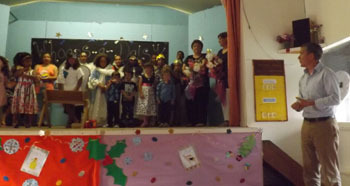 At the end Education Adviser David Clarke thanked everyone for coming and the children and staff for such a great show. 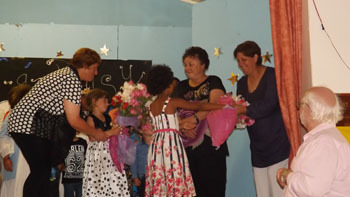 Two bouquets of flowers were presented to Marlene Swain and Yvonne Glass who are retiring in the New Year so this will be their last Christmas Show. 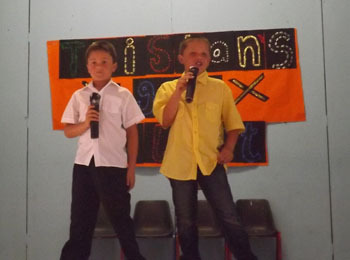 Both have completed nearly 50 years of service to education of Tristan young people.